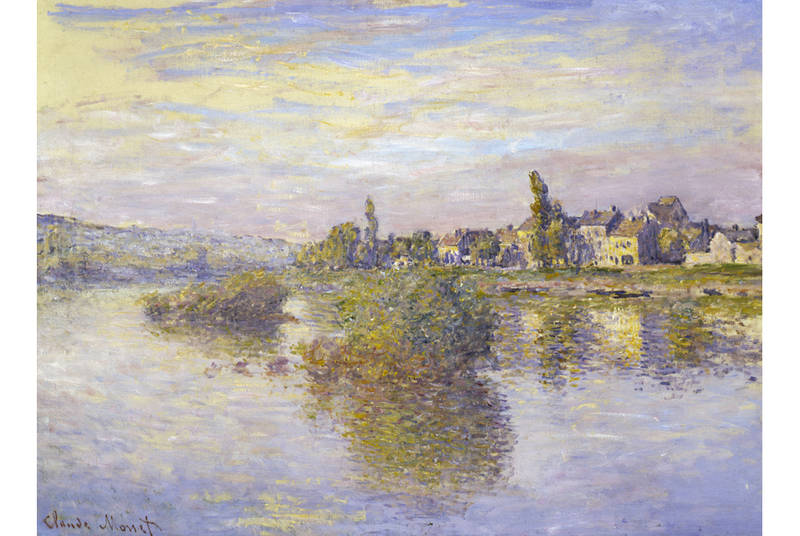 Claude Monet (18401926) Banks of the Seine at Lavacourt (Bords de la Seine a Lavacourt), 1879. Oil on canvas. Frick Art & Historical Center. PITTSBURGH, PA.- The Frick Art & Historical Center is currently presenting the first exhibition in eight years to focus exclusively on its permanent collection. On view through May 14, 2017 at The Frick Art Museum, The Frick Collects: From Rubens to Monet celebrates the works of fine and decorative art at the heart of the Frick experience. Admission is free. Designed to bring renewed attention to the depth and breadth of the Fricks collectionfrom bachelor purchases by Henry Clay Frick, through his daughter Helens work to ensure the creation of The Frick Art Museum and the preservation of Clayton, and to more recent museum acquisitions, The Frick Collects: From Rubens to Monet features many of the museums most significant objects and tells the story of the Frick today and how it has evolved from its founding collections. Accompanying The Frick Collects: Rubens to Monet is a new 120-page guide to the collection, produced in collaboration with Scala, specialists in museum publications. The Frick Pittsburgh, A Guide to the Collection is the first publication since 1993 to focus on The Frick Pittsburghs permanent collection. Featuring an introduction by Frick Director Robin Nicholson and contextual essays by Director of Curatorial Affairs Sarah Hall and Associate Curator of Decorative Arts Dawn Reid Brean, it is available for purchase at The Frick Museum Store for $16.95 retail ($15.26 for members). The accompanying publication is generously underwritten by The Richard C. von Hess Foundation. The Frick Collects: From Rubens to Monet is composed of 42 paintings, 26 decorative arts pieces, nine pieces of furniture, six works on paper, and three examples of sculpture, and is organized by acquisition date, allowing visitors to perceive the development of the collection, from Henry Clay Fricks earliest purchases to recent museum acquisitions. Thematic sections include: From Apartment to Starter Home: The Collecting Begins, covering the years 1881 to 1892; The Confident Collector, encompassing purchases made through the 1890s to around 1906; Collecting with Ambition, which includes important purchases made from other collections and covers the years when Frick was purchasing with the intention of creating a public gallery; Her Fathers Daughter, which elucidates Helen Clay Fricks collecting interests; and, Expanding the Legacy, which includes the establishment of The Frick Art Museum and acquisitions made since the museums founding.